Acupuncture and complementary therapy students at Glyndŵr University raised more than £587 for Nightingale House Hospice. An open week at the Wrexham institution’s on-site clinic saw staff and students carry out treatments in exchange for minimum £10 donations towards the hospice. Over three days, people dropped in for acupuncture, facial acupuncture, back massage, aromatherapy back and neck massage and reflexology. Treatments were delivered by students on the university’s Complementary Therapies for Healthcare and Acupuncture degree programmes. 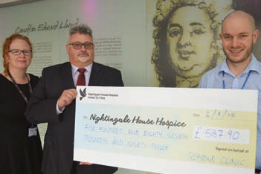 The money raised will contribute towards the £2.2 million needed this year to keep Nightingale House Hospice running. 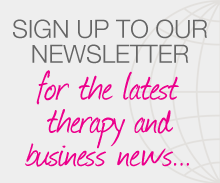 Posted on 18 February, 2016 by Federation of Holistic Therapists (FHT). This entry was posted in news and tagged news. Bookmark the permalink.